Our company established itself as Harthy Chemicals in the year 1996 as a Sole Proprietorship Firm at Bengaluru, Karnataka (India). 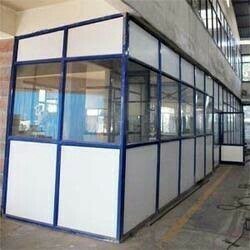 We are engaged in the manufacturing, supplying, trading and exporting of FRP Chemicals, FRP Moulds, FRP Shelters, FRP Doors, FRP Products, Fibre Products, Mobile Toilets, Toilet Cabins, Bio Digesters, Concrete Moulds, CLC Plants, CLC Mixers, CLC Foam Generators, Roofing Sheets, Crinkle Glass Sheets and many more. We are also imparting services including Lining Works and POP Works. We are also expertise in manufacturing Bio-Toilets (Eco-Friendly) as per DRDO norms. Harthy Chemicals keep a vision of eradicating open deficacies from rural India. We are trading the products of Satyan Resins Pvt Ltd. With the wide array of products, we are recognized as a leader in the confined industry. Our competitive prices, client centric approach, fair business policies, safe shipment and various payment options such as cash, cheque, DD etc has built a strong client base all across the globe. We export our up to 20 percent produce to various nations including Middle East. With our pleasing services and fair marketing practices, we are gaining global audiences.